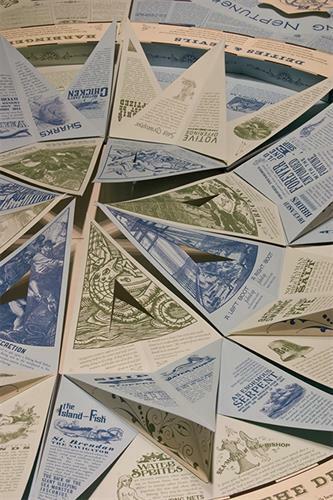 Kevin Steele is a graphic designer and book artist who produces movable books and works made by engineering paper. He examines how structure, movement and interaction can enhance visual communication. He takes inspiration from such diverse, historical sources as the Commedia dell’Arte and ancient maritime mythology.The artist's talk and reception will be held on November 1 from 3:30 p.m. to 5:00 p.m.. The Roy C. Moore Art Gallery is located on the Gainesville Campus in the Continuing Education/ Performing Arts Building. Artist’s Talk and Reception: November 1, 3:30 p.m. - 5:00 p.m.